Yesterday marked a sombre and important anniversary. 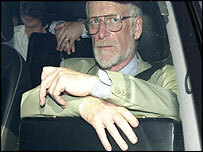 A full five years have passed since the Hutton Report sensationally acquitted Tony Blair and his senior advisers of any wrongdoing in the death of Dr David Kelly. 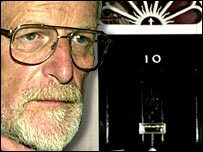 Lord Hutton ruled both that Tony Blair was guiltless in the death of the government scientist and that Downing Street had not 'sexed up' the case for the Iraq War. This was the crucial verdict that breathed fresh life into the Blair premiership, enabling him to fight and win the 2005 General Election. 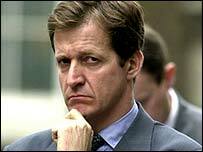 It was the ultimate vindication for Tony Blair's communications chief Alastair Campbell, who called a special press conference to declare that 'the Prime Minister told the truth, the Government told the truth, and I told the truth. The BBC from the chairman and Director-General down did not'. That day, BBC chairman Gavin Davies and Director-General Greg Dyke resigned - and the BBC was plunged into the greatest crisis in its history. In the five years that have passed since then, however, almost every single one of Lord Hutton's conclusions have collapsed. 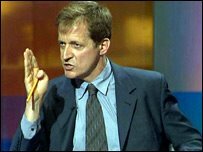 It can now be shown that, far from telling the truth as he claimed, Alastair Campbell repeatedly lied to the House of Commons over the Iraq war. Even more remarkable, it emerged that the British Government had been warned before the invasion of 2003 that Saddam Hussein did not have weapons of mass destruction - and therefore that the Blair administration knowingly embarked on the war on the basis of a lie. 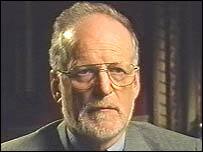 In fact, Lord Hutton failed even in his most basic of tasks, which was to fulfil his remit to examine 'the circumstances surrounding the death of David Kelly'. Only a tiny proportion of his 700-page report was devoted to examining the weapons expert's cause of death - and even these can be shown at best to be complacent and sloppily researched, and the conclusions questionable. The second, so the judge ruled, was 'ingestion of an excess amount of copraxamol tablets.' 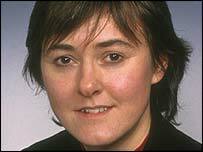 In fact, many medical experts believe that it is almost inconceivable that Dr Kelly died in this way. Normally, when someone dies from slashing their wrists, a massive amount of blood is found at the scene of the death. Yet there was hardly any blood around Dr Kelly's body, either on his body or on the surrounding bushes and grass. Furthermore, the pathologists who carried out the postmortem reported that only one artery had been severed in Dr Kelly's wrist - and that cutting it would not normally lead to a life-threatening loss of blood. According to Dr David Halpin, former senior orthopaedic and trauma surgeon at Torbay Hospital, a cut to this artery could never have caused death. 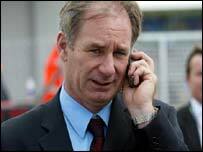 He told the Liberal Democrat MP Norman Baker, who conducted his own investigation into Dr Kelly's death, that 'a transacted artery, one that has been completely cut, retracts immediately, and thus stops bleeding'. 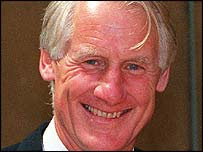 More suspicious still was Lord Hutton's easy acceptance of the claim that Dr Kelly had killed himself by taking tablets. In fact, medical tests showed that the dead man's stomach contained only the equivalent of one-fifth of a tablet in his stomach. It is also interesting that the half-litre bottle of Evian water found beside Dr Kelly's body had not been fully drunk - highly unlikely if he really had taken 29 tablets to kill himself, as Lord Hutton accepted. Yet Hutton took none of these suspicious factors into account with his bland account of Dr Kelly's death. Dr Kelly may, of course, have died in the way Lord Hutton suggested - but it was deeply unprofessional of him simply to brush aside so many suspicious factors that might have led to a different conclusion. 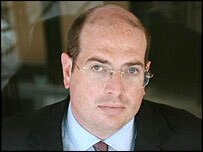 The second major problem with the Hutton Report concerns the extremely respectful hearing he gave to Tony Blair, Alastair Campbell and other Downing Street officials. Lord Hutton himself said that 'the evidence of the Prime Minister and the senior officials was strong and consistent with the surrounding circumstances'. Yet it can now be seen that there were huge problems with the evidence given by Tony Blair and others. 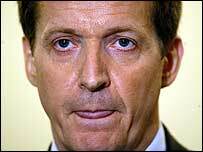 In particular, it has since emerged that one of the key witnesses, Alastair Campbell, was an outright liar - and that this can be proved by evidence presented to the Hutton Inquiry itself. 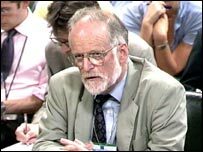 Campbell lied repeatedly when he appeared before the House of Commons Foreign Affairs Committee, when MPs investigated the failure of Allied forces to find Weapons of Mass Destruction in the aftermath of the invasion of Iraq. 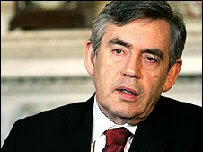 These lies included Campbell's entirely false assertion to MPs that he had never apologised to intelligence chiefs after the publication of his so-called 'dodgy' dossier on WMD of February 2003. In fact, he later admitted in a private hearing of the Commons Intelligence and Security Committee that he had made just such an apology. But Campbell's most serious lie came when he told MPs that the infamous statement that Saddam Hussein was capable of launching a WMD attack within 45 minutes had never changed in the drafting process. Campbell himself, in fact, had asked for the wording to be changed - as evidence to the Hutton Inquiry showed - so he was being quite exceptionally dishonest when he told the Foreign Affairs Committee that it had remained the same. Lord Hutton apparently chose to ignore this clear evidence of dishonesty when reaching his conclusions. The final and most shattering evidence that Lord Hutton's acquittal of the British Government in his report was hopelessly misguided has emerged only very recently indeed. 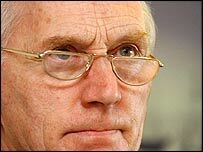 In the final weeks before the invasion of Iraq, a senior MI6 officer called Michael Shipster met the head of Iraqi intelligence at a secret meeting in Jordan. The Iraqi intelligence chief, Tahir Jalil Habbush, gave Shipster assurances that Iraq possessed no nuclear, chemical, biological or any other weapons of mass destruction. Michael Shipster at once brought this information back to London. 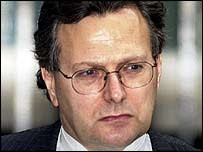 Tony Blair was informed, and Richard Dearlove, then head of MI6, was so impressed by it that he flew to Washington to brief George Tenet, the head of the CIA, who in turn briefed George W. Bush. This information, based on interviews with key players including Dearlove, was published late last year in a book by the Pulitzer Prize-winning journalist Ron Suskind, called The Way Of The World. It caused a storm in the United States, but its conclusions have largely been ignored in the British Press. The implications of this book are immense. Tony Blair told Parliament and the British people that Britain went to war to rid Saddam Hussein of weapons of mass destruction - yet he seems to have been told in advance by the Iraqi intelligence chief that these WMD did not exist. The war - in short - was based on a fraud. As every day passes, Lord Hutton's judgment that Tony Blair and his leading officials were men of integrity looks more and more flawed. Five years on, his verdict has fallen to pieces. 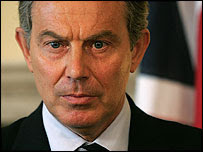 Britain now urgently needs a full-scale inquiry into the causes and prosecution of the Iraq War. The first step should be the publication - strenuously resisted by the Government - of minutes from two key Cabinet meetings in the build-up to war. This week, an Information Tribunal ruled that the documents must be made available, on the basis of exceptional public interest. That has infuriated ministers, who are now expected to appeal to the High Court to have the ruling overturned. 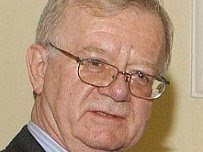 Far from resolving the many flaws in Hutton's report with full and frank disclosure about the facts surrounding Dr David Kelly's death, it is all too obvious why the Brown government is determined to keep them concealed for as long as possible. The Government has been ordered to release the minutes of crucial 2003 Cabinet meetings where the invasion of Iraq was discussed. The Information Tribunal upheld a decision by the Information Commissioner that details of the sessions on March 13 and 17 should be disclosed. The ruling opens up the prospect of one of the most controversial Government decisions of recent years being laid bare - although the Tribunal stressed that disclosure would not necessarily set a precedent. The meetings considered the highly controversial issue of whether the invasion was allowed under international law. The arguments in favour of keeping the formulation of Government policy secret and preserving the principle of collective responsibility were defeated in this "exceptional case", the ruling said. Information Commissioner Richard Thomas said: "I am pleased that the Tribunal has upheld my decision that the public interest in disclosing the official Cabinet minutes in this particular case outweighs the public interest in withholding the information. "Disclosing the minutes will allow the public to more fully understand this particular decision." Downing Street said: "The Information Commissioner has just made an announcement on this and we are considering our response." Immediately upon taking office, Obama will give his Secretary of Defense and military commanders a new mission in Iraq: ending the war. A lack of informed advice? Fresh questions over the legality of the Iraq war were raised today after the government admitted it could not substantiate its claim that Lord Goldsmith had changed his mind over the legal basis for the invasion before a highly controversial meeting with two of Tony Blair's closest allies. 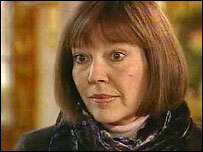 Opposition MPs have renewed calls for a full Iraq inquiry in light of the new information. The revelation comes ahead of a ruling on whether the government should publish minutes of two prewar cabinet meetings at which Goldsmith's advice was discussed. On 17 March, he published a single-page parliamentary answer, asserting that the war would be legal on the basis of existing UN resolutions. 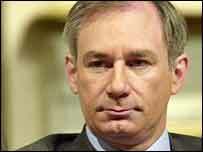 In 2006 Richard Thomas, the information commissioner, ordered the government to disclose details of the process by which Goldsmith had come to his revised conclusion. However, rather than requiring the publication of actual documents, Thomas allowed the government to publish a narrative account and include material that was not based on documentary evidence. The Cabinet Office then issued a "disclosure statement" which claimed Goldsmith had informed his legal secretary of his new opinion before he met Morgan and Falconer. But in response to a new freedom of information request, it has admitted it has "no information" to support this sequence of events. The Liberal Democrat foreign affairs spokesman, Ed Davey, told the Guardian: "This latest revelation shows there is no evidence to back up government claims that Lord Goldsmith was not leant on by Blair's inner circle before deciding the war would be legal. "We may never know the full truth but, as the official version slowly unravels, the credibility of Goldsmith's changed legal position is further called into question. A full inquiry is our only hope that we can force the full truth out." The Tory shadow foreign secretary, William Hague, said: "It is surprising that the Cabinet Office is unable to supply further information on this matter. "This adds yet further weight to the case for a proper privy council inquiry into the origins and conduct of the Iraq war." Last November, Lord Bingham, a former senior law lord, said Goldsmith's view was "flawed" and called the invasion "a serious violation of international law and of the rule of law". 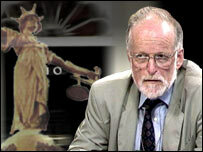 The information tribunal is due to rule shortly on the government's appeal against Thomas's decision that it must publish the minutes of two cabinet meetings, on 13 and 17 March 2003. It emerged during the tribunal hearing in November that the minutes could prove there was insufficient cabinet discussion of the legality of the war. The attorney general missed the first cabinet meeting, on the day that he reached his new conclusion, but attended the second, at which the cabinet was presented with his single-page view. Most ministers were not shown Goldsmith's original advice or told that he had expressed doubts on the issue. The former minister Clare Short has claimed that she was prevented from asking Goldsmith why he had taken so long to provide an opinion and whether he had any doubts. The Cabinet Office declined to comment further on the disclosure.